1971. Rod Stewart. “Every Picture Tells a Story”. Inside album cover sleeve photos. 1971. “Every Pic­ture Tells a Sto­ry” Rod Stew­art. Inside album cov­er sleeve. 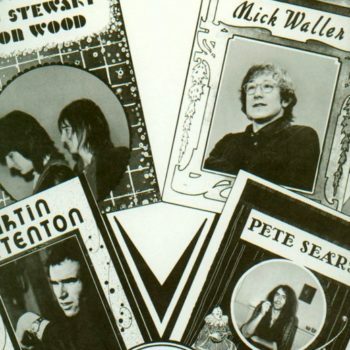 This was the third solo album by Rod Stew­art, and the sec­ond one I played on, released in the mid­dle of 1971. It became Stewart’s most crit­i­cal­ly acclaimed album, and for many became the stan­dard by which all of his sub­se­quent albums were judged. I played all the piano on the album includ­ing the title track and the sin­gle “Rea­son To Believe” . Except for one track, “I’m Los­ing You” which fea­tured Ian McLa­gan on piano, along with the Faces as a band. Ian also played B3 organ on a cou­ple of tracks, and Micky Waller drums except for the Faces track “Los­ing You” which fea­tured Ken Jones. Ron Wood played lead gui­tar on every­thing, Mar­tin Quit­ten­ton acoustic gui­tar and many spe­cial guests includ­ing my old Long John Baldry Band-mate Sam­my Mitchell. Mag­gie Bell sang. Some­times both Mar­tin and Ron would played acoustic gui­tars togeth­er. It reached the num­ber-one posi­tion in both the UK (for six weeks) and the US (four weeks) at the same time that “Mag­gie May” was top­ping the sin­gles charts in both ter­ri­to­ries, mak­ing Stew­art the first artist to achieve such a feat. 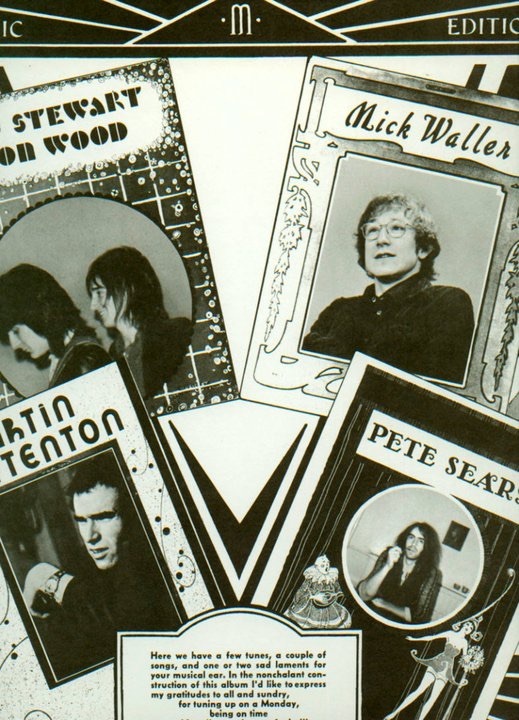 It has often been vot­ed among the best British albums of all time. In 1992, the album was award­ed the num­ber-one spot in Jim­my Guterman’s book The Best Rock ‘N’ Roll Records of All Time: A Fan’s Guide to the Stuff You Love. In 2003, the album was ranked num­ber 172 on Rolling Stone magazine’s list of the 500 great­est albums of all time. Every Pic­ture Tells a Sto­ry was ranked 99th in a 2005 sur­vey held by British television’s Chan­nel 4 to deter­mine the 100 great­est albums of all time. In 2009 the song “Every Pic­ture Tells a Sto­ry” was used for the sound­track of Rock­star Games’ “Grand Theft Auto IV: The Lost and Damned”. This album sold 4 mil­lion copies world­wide.